Weights being lost- NEED HELP PLEASE! Why do my weights always keep destroying after some time? I’m not sure if this is an mgear or ngskintool thing but I make sure to save countless back ups of my skinning including gear skin pack and ngskintool export. The weights would randomly revert back to almost a default bind and when I try to reimport the mgear pack or ngskin file, nothing changes. This has me going in circles, spending much more time on an aspect when I could have been done with this part of the project. I really need help urgently guys. "Some weights could not be set to the specified value. The weight total would have exceeded 1.0." Also what is the difference between skin and skin pack? The skinPack is just a text list of skin files to load. Let’s say you had a skinPack with ALL of your geo. If you exported a new skinPack with only one thing selected, then the skinPack will only contain one thing. None of your skin files are lost. But the skinPack will only load the one thing. Does that make sense? Is that maybe what happened? After you have exported your skinPack, and you update the weights on your body, you should only export the body weights, not a whole new skinPack. You can load your skinPack file in a text editor and look and make sure it has all of your skin files in it. If you load individual skin files one by one, are they still working? If you already have a skinCluster, loading a skin on top of that will give that warning, “Some weights could not be set to the specified value. The weight total would have exceeded 1.0.” But usually it will still work. Thanks for the info but I’ve only been working with one mesh all along. But I have restarted using the assign button in ngskintool and it is much quicker so thankfully this mistake helped me gather new revelation lol. Just hope it doesnt happen again. I also keep seeing this stray vertex that is present when I just open up maya but snaps back into place when I open ngskintools. Any ideas? 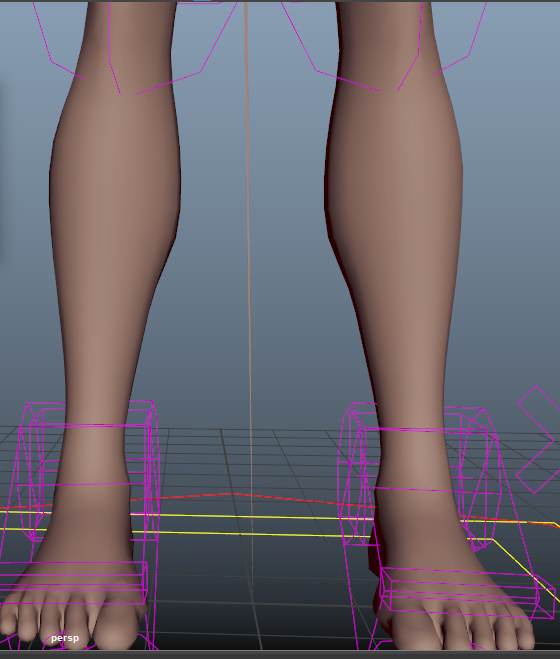 As soon as you load ngSkin layers, you can no longer work on regular Maya skinning. No painting or commands. Otherwise, the next time you touch ngSkinTools, it “snaps” your weights back to the ng data. If you are getting skipping vertices like that, I suspect you tried to load, edit or paint weights on top of your ngSkin layers. even after I delete custom nodes in ngskintools? No, not after. Only while you have the layers. Well it’s happening after, and has me a little shaky. Hoping it will not affect me later down the line. Can you show me your skinCluster settings? Look at the weights of that vertex in the component editor. Does it add up to 1.0? Do not use “Maintain Max Influences”. When Maya tries to prune weights it can mess your weights up. If you need max influences for a game engine, it is better to do it manually or use ngSkinTool’s version of maintain max. normalize weights seems to have fixed that vertex. I wish I understood the why and how of this. Well, hopefully normalizing and “Neighbors” helps, and it doesn’t happen again! Also, make sure to be careful if you are locking any influence weights. (In the Maya paint weights tool, when you see a little orange lock next to the influence.) That can sometimes cause weight glitches too. Also make sure you don’t have any history like modelling or polySplits on your mesh. Without seeing more information, I can’t give much more advice. If it keeps happening, maybe share a file to look at. Or explain specifically what you are doing to import and export your weights. It has stopped. I don’t use maya weights. I only use Ngskintools. Thanks a lot, you have helped greatly!